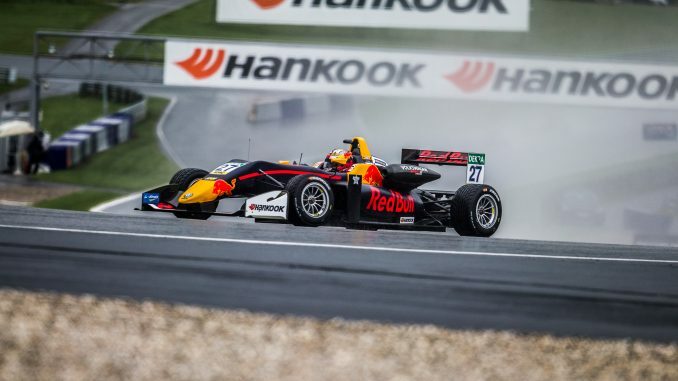 Hankook is currently the tyre supplier to the FIA European F3 Championship. Hankook has revealed the company is involved in the bidding process to be Formula 1’s official tyre supplier from the 2020 season. Pirelli currently provides tyres to the 10 F1 teams for each race weekend, but the Italian firm has just one year left on its current contract, and the process is underway to appoint a supplier for the 2020 to 2023 seasons. F1 asked for manufacturers to express an interest by the end of August before the FIA finalised a list of approved bidders earlier this month. Hankook has now confirmed to RACER that it has met the criteria to be considered a bidder, and will hold commercial discussions with Liberty Media. Pirelli is also keen to continue, but it’s thought some other brands were put off due to the F1 regulation change in 2021, when 18-inch wheels are due to be introduced. Should Hankook be chosen ahead of Pirelli, the Korean manufacturer would have to develop compounds for one season before creating new tyres for 2021 and beyond, while Pirelli would be able to continue with its current tyre dimensions for 2020. Pirelli has previously admitted this tender process has been more detailed than previous ones, with the sport’s governing body seeking specification requirements for degradation, the working range of tyres and peak performance. Pirelli has been F1’s tyre supplier since 2011, replacing Bridgestone. F1 has had a designated tyre supplier since 2007, before which up to four suppliers were being used by different teams on the grid. Although Hankook has never ventured into F1 before, the brand has been involved in a wide range of motorsports series, including DTM, Super GT and the FIA European Formula 3 Championship. It’s unclear how long the tender process and commercial negotiations are likely to last, but Liberty Media will pick its preferred bidder before the FIA makes the final decision.